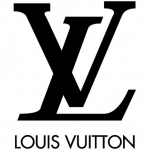 Designed by New York's Peter Marino is only stocked with the rarest and most exclusive of Louis Vuitton pieces. With a Men's Club Area, enormous changing rooms and a "librairie" selling a mix of contemporary British Art books; it brings a whole new meaning to the term "designer living". They're not joking when they say it's "the most luxurious Louis Vuitton store in the world". Go see it to believe it!